“Iowa families, health care providers and taxpayers received a gut punch today because of the mismanagement of privatized Medicaid by Governor Reynolds, Senate Republicans and House Republicans. 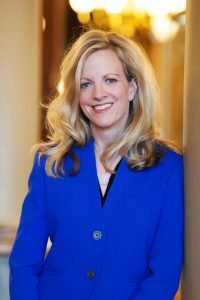 “Taxpayers are being hurt because they must now pay an additional $342.2 million to out-of-state corporations that are running Medicaid and Iowa’s heath care system into the ground. Cut and further delay payments to Iowa health care providers that provide critical services to hundreds of thousands of Iowans. Make health care services even less accessible to Medicaid members. Take more than $100 million away from education, health care and public safety to cover the additional payments to out-of-state corporations. “The best option would be for Governor Reynolds and legislative Republicans to finally reverse course and join legislative Democrats in supporting a return to a more efficient, publicly managed system.